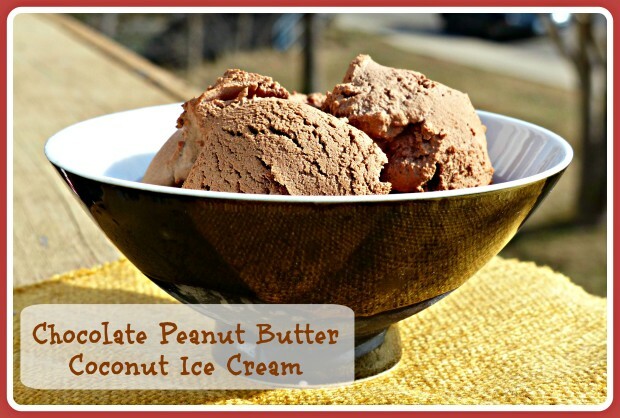 I think peanut butter and chocolate is a fantastic flavor combination. 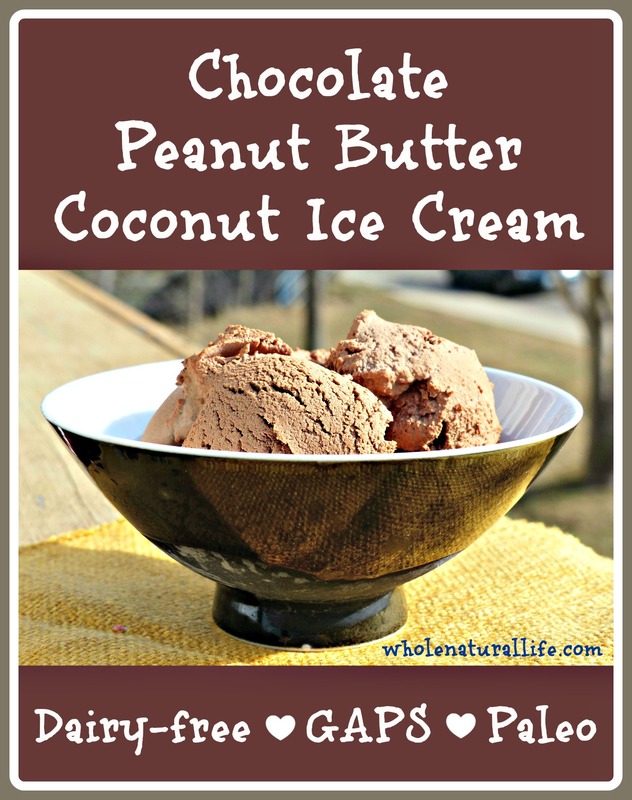 Since I no longer eat Reese’s peanut butter cups, one of my favorite ways to enjoy the peanut butter and chocolate combo is in this chocolate peanut butter coconut ice cream recipe. It uses coconut cream (or milk) rather than cow’s cream, so it’s dairy-free and suitable for the GAPS and Paleo diets. Even if you don’t have any dairy restrictions, making coconut ice cream is a delicious and easy way to get more coconut oil into your diet. Mix coconut cream, peanut butter, cocoa powder, honey, vanilla extract, and stevia in a blender or by hand. Serve immediately, or put in the freezer for a few hours to make it firmer. How could I best make this without an ice cream maker? I don't know, Susie; I've never tried to make ice cream without my ice cream maker. If I were you I'd google "make ice cream without ice cream maker" or something of that sort and see what you come up with. Oh...YUM! Hoping I get an ice cream maker for Christmas...and yes, this is going to the top of the list of must make recipes! This would be a perfect post to share at our Meal Plan Monday link-up at www.modernalternativekitchen.com! Hope to see you there tomorrow! This sounds delicious, except for the stevia...what could be substituted? Could you just add more honey to taste? Thanks. Yes, you can just add more honey (or any other sweetener that you want). Since it's ice cream, you can easily taste it before you put it into your ice cream maker. Hope you like it! Susie, if you have a vitamix, I would suggest freezing the coconut milk -- at least part of it (two ice cube trays worth would probably work good) and then put your leftover liquid (enough to cover blades) and other ingredients and add the ice. It should come out close to soft serve texture....hope that helps and gives you an idea to try. Hi Meghan, I'm not on Gaps. Do you think I could use half and half instead of coconut cream? I will use all stevia and no honey to save on sugar use. Thank you for the recipe! Hmm. I don't have any experience using half and half in ice cream. Ice cream recipes are very forgiving, though--I'm guessing the only problem you'd run into is that it might not be as creamy. Any reason you don't want to use cream rather than half and half? And about the stevia, I have found that things tend to taste a lot better when you use at least a little bit of honey rather than all stevia. Just my two cents--you are of course free to do as you wish! I hope you like the recipe! Just a note, knowing that it freezes very hard, try using silicone muffin pans and then freeze as you can get out one serving at a time.